I’ve finished a readable draft for the second part of Red Queen: The Substrate Wars, first book in a long series. Beta readers of Part 1 generally liked it and wanted to keep reading, so if you were holding off thinking it’s bad, maybe that will encourage you to give it a read. In this part, our growing band of campus freedom-fighters discover a new technology that could either destroy the world, or save it. They take on the responsibility of using it for good. Homeland Security is one step behind them. There are interesting questions about how much techno-geekery and science you should throw at the reader. Those who aren’t into it will see a paragraph of unintelligible babble and skip over it (“it’s magic!”), and those who are into it will read every word and try to find holes in the science, which they will of course be eager to point out. So I need a wide variety of readers to help me decide just how far to go. There’s also an interesting problem with exposition: it’s necessary for the omniscient narrator to just tell the reader things, but they are more convincing coming from characters. But then you have long dialogues where characters go on in an unrealistic way. This has been accepted as part of the artifice since the time of the Greeks, but you can go too far. Let me know what you think! Questions, errors, and comments to: jebkinnison@gmail.com. Hope you enjoy it. 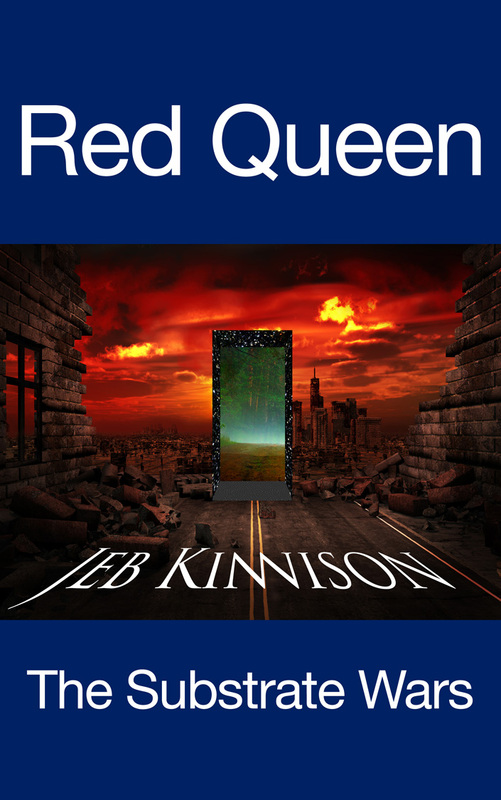 Posted in Books, Government, Science Fiction and tagged human wave, matter transmission, red queen: the substrate wars, science fiction, substrate wars, teleportation, YA fiction, youth rebellion on November 21, 2014 by Jeb Kinnison.